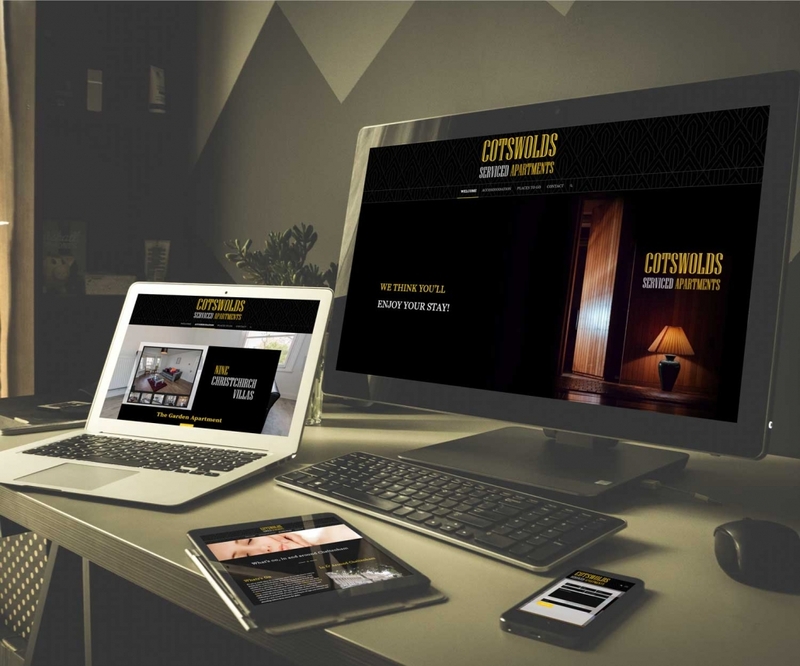 Having worked with Kiernan Properties previously on some marketing leaflets Phil Kiernan approached me to design a simple, classy, art-deco inspired website for a set of serviced apartments he owns in Cheltenham. Cotswolds Serviced Apartments specialise in short and medium stay apartments in Cheltenham for the Corporate, Leisure and Medical markets. 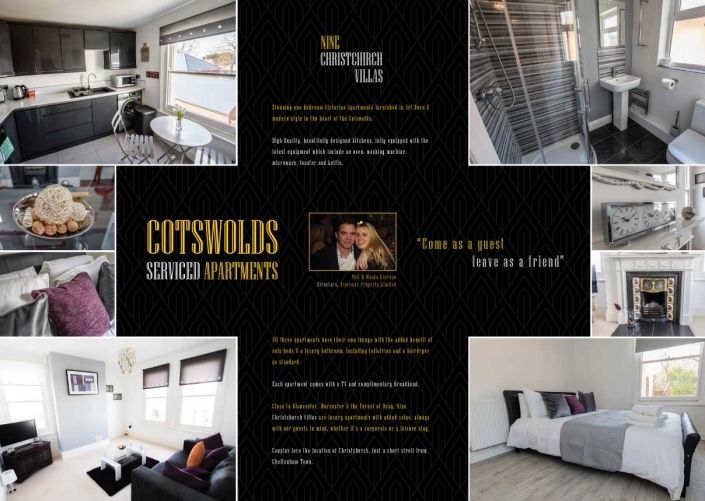 For several years, they have operated their own Cheltenham Apartments and Country Inns in the Cotswolds & Gloucestershire area, welcoming guests from all over the World. My brief was again quite free, to come up with a brand that worked around Black and Gold colouring and had an art-deco inspired theme running through it. 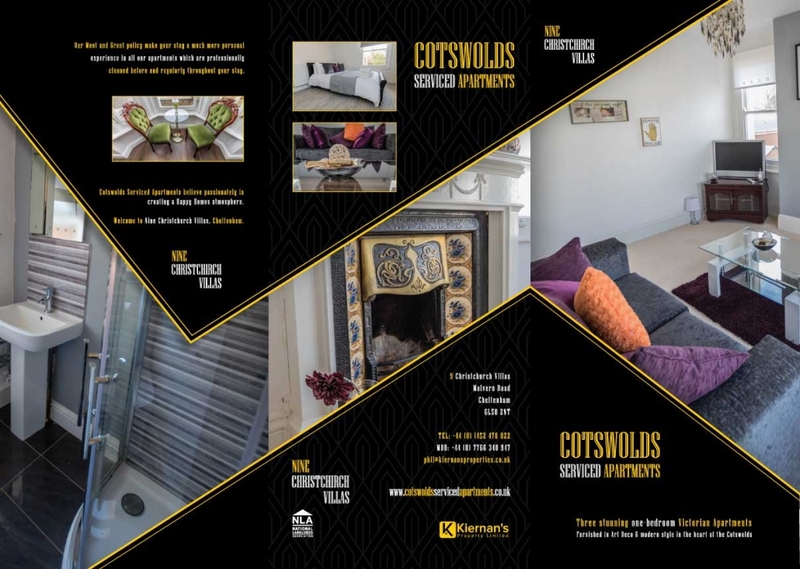 Initially, I created a tri-fold leaflet that is used to promote the serviced apartments and from this style the website naturally followed. As is so often the case the website still requires a little work and isn’t being actively promoted until the finer details and photo galleries have been added. The overall style met with the design brief and the client has been very pleased with the final results.